Do you suffer from ringing in the ears, otherwise known as tinnitus? If so, you are not alone. Recent statistics from the American Tinnitus Association indicates nearly 50 million Americans have this symptom, often to a debilitating degree. Did you know, hearing aids may help with tinnitus. An article published by NCBI ("Hearing Aids For The Treatment of Tinnitus") indicated the use of hearing aids can provide two benefits: It can help make the patient less aware of the ringing in the ears and it can help with communication by reducing the sensation that voices and sounds are masked by the tinnitus. Recently, Kaw Valley Hearing completed a survey which indicated the symptom patients with hearing loss would like the most assistance with...is relief from their tinnitus (40% of the responses). This was followed by easier communication in background noise (20%). ​Contact us today for a comprehensive tinnitus evaluation and personalized treatment program! ​Our goal is to "Bring Back The Sounds You Truly Miss." 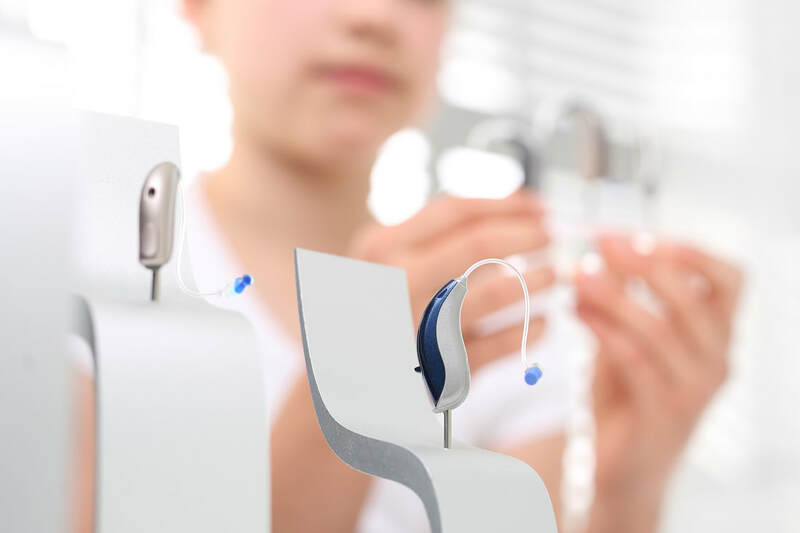 The Advancements in digital hearing technology paired with our highly trained audiologist helps us reach this goal. ​When making an informed buying decision you should expect to partner with your audiologist to choose the treatment plan ideally suited for your personal lifestyle, diagnosed hearing loss, cosmetic preferences, and budget. We take pride in our result driven patient centered approach to hearing healthcare where you always come first! We are excited to announce the merger between Southwestern Hearing of Lawrence and Kaw Valley Hearing. This allows Kaw Valley Hearing to provide exceptional care to a wider range of members of the Lawrence Community. We welcome all patients with open arms and encourage you to stop by to meet our staff and tour our facility. We will work diligently on accommodating all patients and their families.